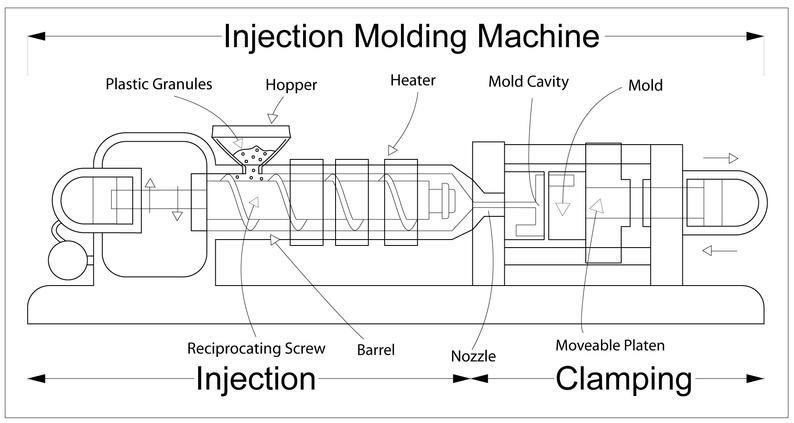 Injection molding is the process of making components by pumping the liquid materials into the mold cavity necessarily by using injection molding machine. Smooth surface finish can be achieved by this process. – Complex geometry can be produced. – Fully automated, so less manpower required. – Part with large undercut cannot be produced. Ideal applications: Suitable for making large scale production of the plastic and similar components.